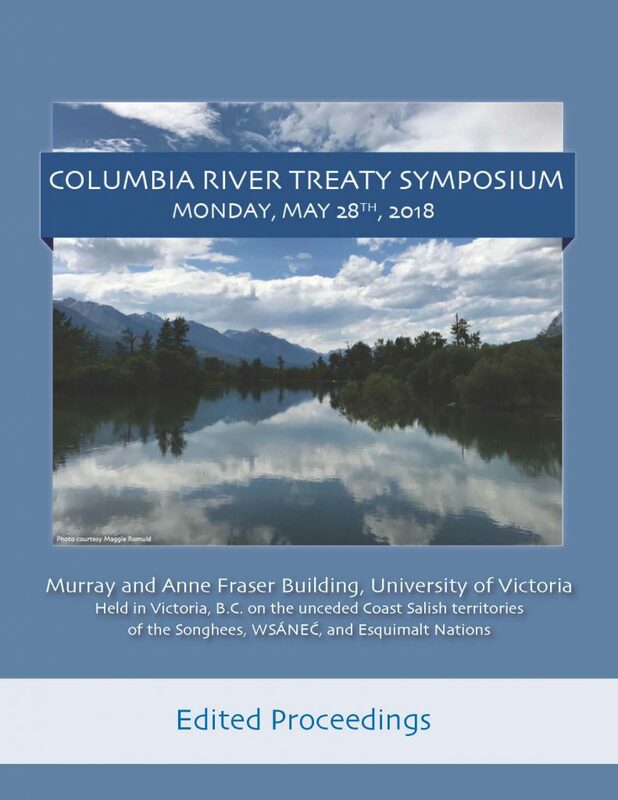 These proceedings provide a written record of the Columbia River Treaty Symposium, a special event of the Canadian Water Resources Association (CWRA) 2018 National Conference and part of the POLIS Project’s Watersheds 2018 series of events. The symposium was held on May 28, 2018 on the unceded Coast Salish territories of the Songhees, WSÁNEĆ, and Esquimalt Nations at the University of Victoria. The event was made possible with the support of sponsors and partners and the organizing efforts of the Planning Team, which was comprised of members of the two co-hosting organizations: POLIS and the CWRA.